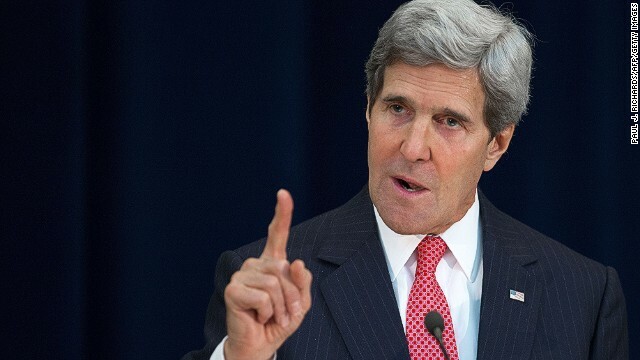 Jerusalem (CNN) - John Kerry’s ninth trip to Israel since becoming secretary of state could be among the most difficult. He needs Israeli Prime Minister Benjamin Netanyahu’s buy-in for the two issues U.S. President Barack Obama has declared the centerpiece of his second term foreign policy – Iran and Middle East peace. But at a time when the Israeli leader’s confidence in the United States is shaken over the Iran deal, his trust in the administration as broker of a peace deal with the Palestinians may waver. Kerry met with Netanyahu for the first time since the United States and five other world powers reached an interim deal with Iran over its nuclear program. Once just speculation, differences between the United States and Israel on how to deal with Iran’s nuclear program have spilled into an open rift between the two allies. But language on both sides about their differences over a possible agreement with Iran shows the volatility of an issue with major regional and global implications. Netanyahu feels the agreement puts Israel in danger, and he has not minced words about it, calling the deal with Iran a "historic mistake." A key issue is enrichment of uranium, which is necessary, at different levels, for both power production and developing nuclear weapons. Iran says it has the right to enrich its own uranium. And while the United States and its allies reject enrichment as a right of nations, the White House now says that it could be open to negotiating a limited Iranian enrichment program. The Israeli leader wants to eliminate Iran’s capability in it’s entirely, rather than merely place Tehran’s nuclear development in suspension. He is adamantly opposed to any enrichment on Iranian soil. But the United States and its partners in what is known as the P5 plus one found an interim deal to ease economic sanctions on Iran in exchange for increased inspections and limitations on Tehran uranium enrichment was all they could get right now. Since that deal was announced, Obama and Kerry have done a lot of schmoozing with the Prime Minister to reassure him that it has the potential to be a historic agreement. The United States now finds itself in the middle of a nasty war of words between Israel, one of its closest allies, and Iran, with which it is cautiously improving ties. While Netanyahu was criticizing the negotiations taking place in Geneva last month, Iranian Foreign Minister Mohammad Javad Zarif accused Israel of wanting to "torpedo" an agreement on his country's nuclear program. Now Kerry must persuade both Israel and Iran to move beyond the “first step” deal and work on a comprehensive agreement that addresses all of Israel’s concerns about Iran’s program. World powers have imposed a six-month deadline for a final deal. Standing next to Kerry, Netanyahu seemed ready to focus on the road ahead, but not without a dig at the deal reached in Geneva. “We believe that, in a final deal, unlike the interim deal, it is crucial to bring about a final agreement about the termination of Iran's military nuclear capability,” he said. Both he and Kerry spoke of the need to stem the erosion of existing sanctions on Iran in the meantime. Kerry is also up against another ticking clock – this one on the Middle East peace process. Israelis and Palestinians are four months into a nine-month deadline given to them by Kerry to reach a peace deal. So far there has been little visible progress. On Wednesday, Kerry and retired Gen. John Allen, who has been working on Israeli security issues, presented Netanyahu with specific and detailed ideas on how Israel’s security needs in the West Bank could be addressed in the context of an eventual peace deal with the Palestinians. After the meeting, Netanyahu reaffirmed his commitment to peace, but one “that Israel can and must be able to defend by itself with our own forces against any foreseeable threat.” He appeared to be referring to the Jordan Valley, where Israel has insisted its own troops must remain, as opposed to the type of international troops that patrol tense borders with Syria and Lebanon. The Palestinians have rejected out of hand having Israeli soldiers within the borders of their own states. By echoing Netanyahu’s language that a peace deal must recognize Israel as “a country that can defend itself by itself,” Kerry appeared to be siding with Israel. The security plan presented by Allen, which Kerry aides caution is still a work in progress, seems to indicate a more active U.S. role instead of relying on the Israelis and Palestinians to negotiate between themselves, an approach that has born little fruit. With deadlines for both the Iran and Mideast peace deals approaching in May and April respectively, Kerry may have to come up with more American ideas to bridge differences between Israelis and Palestinians. The Iran deal has totally eclipsed the Palestinian issue among Israeli leaders in recent months. While Israeli officials say it should not come at the expense of peace talks, Iran is viewed as the number one security challenge Israel faces. In October, Netanyahu issued a warning on Twitter that “our aspiration for peace is liable to be severely affected if Iran succeeds in its aspiration” to evade international sanctions and develop a breakout capacity for a nuclear weapon. What’s more, after the deal with Iran, Netanyahu is likely to be skeptical of any American security guarantees in the Palestinian negotiations. Israeli officials say Obama’s claims he “has Israel’s back” cannot be taken at face value. On his frequent trips to Israel, Kerry maintains he has been a consistent supporter of Israel throughout his decades-long political career, and this visit was no exception. His job this week seems to be assuring Netanyahu that any final deal with Iran will not put Israel at any additional risk. “I can’t emphasize enough that Israel’s security in this negotiation is at the top of our agenda,” Kerry said Wednesday as he stood alongside of Netanyahu. He promised to consult closely with Israel on a comprehensive agreement with Iran “that can withstand everybody’s test." Kerry spoke again Wednesday of the “unshakable bond” between the United States and Israel. Both U.S. and Israeli officials insist that while their differences over Iran influence the atmosphere, the relationship between the two countries has not been affected. “Historically there have been differences about the interpretation of regional events which both parties surmounted over time,” said Dore Gold, a former Israeli ambassador to the United Nations, now president of the Jerusalem Centre for Public Affairs. In a neighborhood where Israel is surrounded by instability, including Egypt, Syria and Lebanon, the same might be argued for the United States. The regime pf Iran could not solve his tension with the unhappy Iranian after 34 years! How do you expect they solve their tension with the neighbors and western countries?! "We have hit the pause button," Hayden said. "Now we've got to negotiate hitting the delete button." But you are hitting the delete your Red lines button to save the criminal regimes of Syria and Iran?! Kerry: No worry! we give them the bomb to solve the problem permanently!! Or, Mr. Kerry could accept that he's infuriated the left, the right, and our regional allies to a point where the region looks more unstable than ever before. True, but taking a strong hand and losing the first round to Iran doesn't help anyone. Namely the regional stability of the Middle East. Am I the only one who thinks ending a 1500 year gihad, bringing peace to the middle east (yeah its a cliche cause everyone knows its impossible) and building accord with Iran who chants death to america every friday might just be slightly grandiose goals? Why not just promise to bring us cold fusion, I mean atleast then its only science holding you back. I would wager it would be easier than what obamas second term goals are. I'd go as far as saying even muttering it to himself in the privacy of his own home is borderline delusional let alone betting his presidency on it and telling the world it. I mean who does he think he is ghandi? All I can say is if that is his stated goal Im holding him to it. Its not going to work and will cause him to accept 'bad deals' chasing the carrot.